This photograph captures my parents’ personalities. 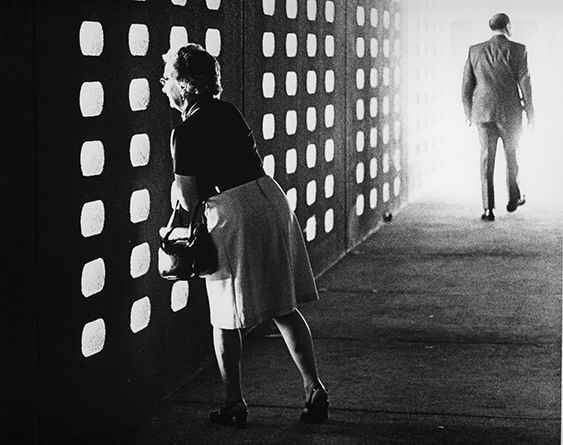 My mother was always very inquisitive and I captured her stopped, attempting to see what is happening beyond the wall. My father continued to walk straight ahead.